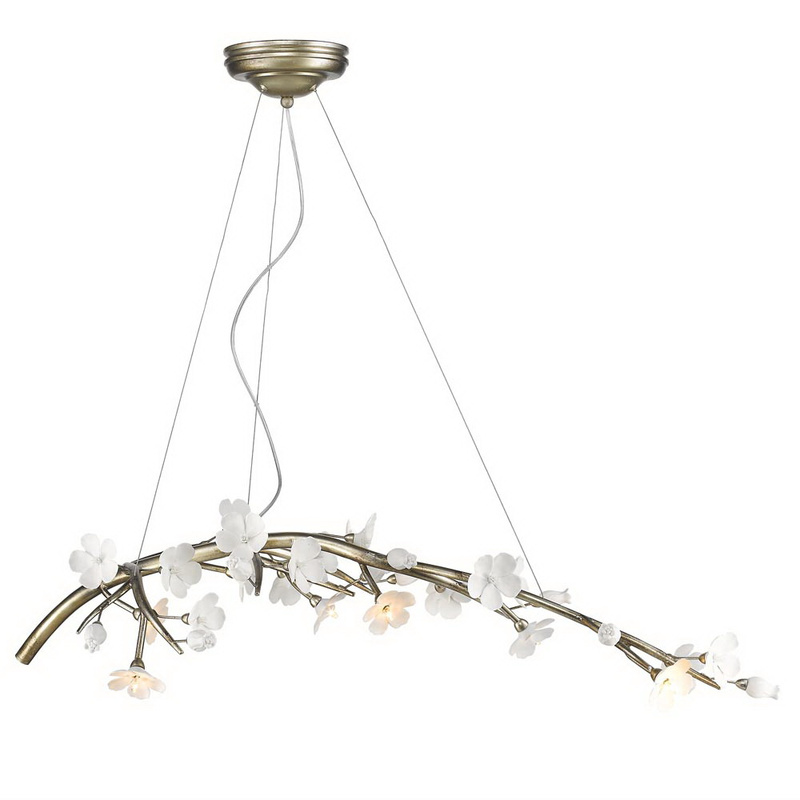 Golden Lighting Aiyana SL Collection 7-Light chandelier in silver leaf finish, has porcelain flowers shade that brings elegance to the home. This modern style chandelier features seven 20-Watt type G4 halogen lamps. It measures 45.5-Inch x 9-Inch. This chandelier features sturdy steel sculpted branches. It comes with three 8-ft cable wires for easy installation. It comes with 8-ft cable and 10-ft lead wire for easy installation. This chandelier is ideal for kitchen, foyer, living and bedroom. Chandelier is UL/cUL listed.